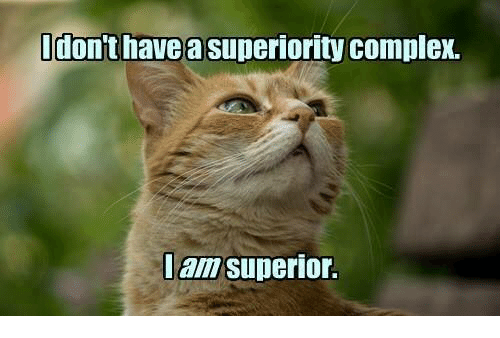 I have decided to write the separate post about the superiority complex as it seems to not be absolutely clear from the previous article what are the signs of it and how dangerous it is. There are two explanations of the superiority complex. The first perspective is that this complex is the opposite one for the inferiority complex and the second is that superiority complex is just a developed form of the inferiority and it appears when a person tries to hide his or her inferiority and starts acting superior. In my opinion, it depends on the situation and there is no universal approach to this issue. Acting superior is a psychological defense mechanism which starts working when your unconsciousness feels vulnerable. Here I want to mention a phenomenon as situational narcissism. It is about superiority in exact circumstances. For instance, your colleague has been promoted or has been given a team of 10 people to run a project, after that he or she changes the behaviour and becomes more egocentric. Another example is a so-called star syndrome when a person who is a “star” in his/her career be it sport, business or any other field, acts arrogant and rude towards others who are not “stars” showing them the superiority and distance in between. It is obvious that in these cases people have a superiority complex which appears because of the circumstances and it can actually go away when these circumstances will be changed back. If you are interested in the narcissist topic then you would enjoy Preston Ni’s book “How to Successfully Handle Narcissists“. He is a professor, coach, and course designer in fields of interpersonal effectiveness, professional communication, and some others. Aggression: people with this complex expect others to perceive them the same way as they do. When the expectations failed, it drives them crazy and leads to rude or even violent behaviour. Insensibility: people with a superiority complex are unable to feel others. The lack of empathy makes them indifferent to others pain. If we look at the previous example and change the roles, then we see that superiority person will ignore the situation (in the best variant) otherwise, he/she can get sarcastic and make fun of the hurt person. They simply do not have the ability to be perceptive to others pain. Emotional roller coaster: self-confident from the outside and weak inside. Superiority complex makes individuals vulnerable. They play their role towards others and believe in it but when they stay along, they start thinking a lot. This overthinking leads to mood swings. Facing the reality and comparing in and out results in contradictory. Emotional instability is the sign you should pay attention to. Anxiety: it connects with emotional instability. As long as a person has to deal with a dual personality, he/she is weak and pathetic. They have to play a superior person and be everything-know-better for surrounding people and they are different inside that cases imbalance and anxiety is the way out. The more person pretends the more severe it gets. Excuses: people with a superiority complex “cannot be wrong”. In case if anything failed, this person will blame others (people or circumstances) but not him/herself. They will take responsibility only in successful businesses. Moreover, they prefer to pretend confused instead of accepting their failure. They also can count the business unimportant if they were not able to manage to do it. Rationalisation: these people always try to explain their actions and in case of failure they convince themselves in unimportance of the failed thing, force to believe that it was never important at all. They also find the positives in any outcome and remain a winner position in any situation. Avoidance: they cannot recognise the problem. Even if somebody reveals all the drawbacks, a person with a superiority complex is unlikely to agree with it. They prefer to stay away and do not ask about help. They do everything by themselves and never let others know about their issues. They just choose the character they want to portray and live its life. They also reject psychological intervention. Arrogance: expressing superiority is one of the common symptoms, such people attitude to others gives the understanding that “they are above people”. For them, there is no way to be equal, people are beneath them and that is a reality for those with a superiority complex. Self-control: this is more about inside manifestation. They have to control their behavior and emotions to avoid depicting their real nature. They are excessive in this control and this is one more cause of anxiety in people with this complex. Always wearing a mask make them vulnerable and pathetic. 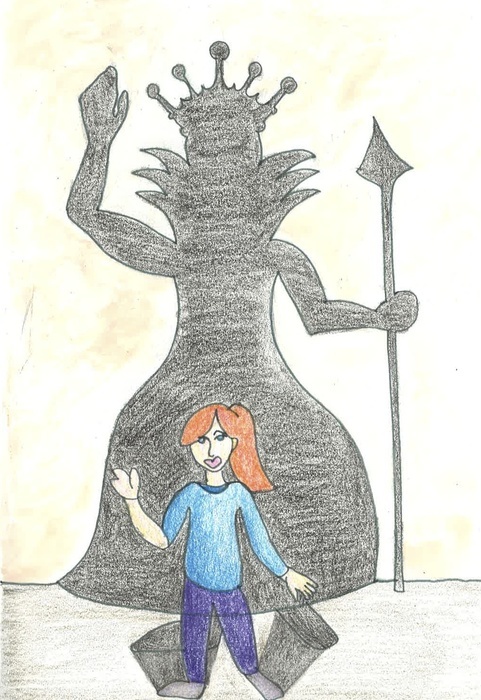 Braggart: a superiority complex person is happy to tell you stories about himself. Anytime you can ask about this and hours of storytelling about an ideal person will come. They also like to show others their material possessions. Self-marketing of these people is at the highest level. So, I think that is it. There many traits of superiority complex and you will definitely understand if face the person with such a problem or notice something similar in yourself. Do not forget that these symptoms can be referred to other disorders as well, therefore be careful when labeling. Try to avoid being self-centered and be happy! I wish you a good week and see you in my next post!